Abdominal or belly pain can have many causes. It may be due to food poisoning, an intestinal or gall bladder obstruction, an infection or inflammation. It could also be appendicitis, a kidney stone or peptic ulcer disease. In women, abdominal pain can result from an ectopic pregnancy, an ovarian cyst, pelvic inflammatory disease or other female organ disorder. In addition, some people with pneumonia, a bladder infection or a heart attack experience abdominal pain. 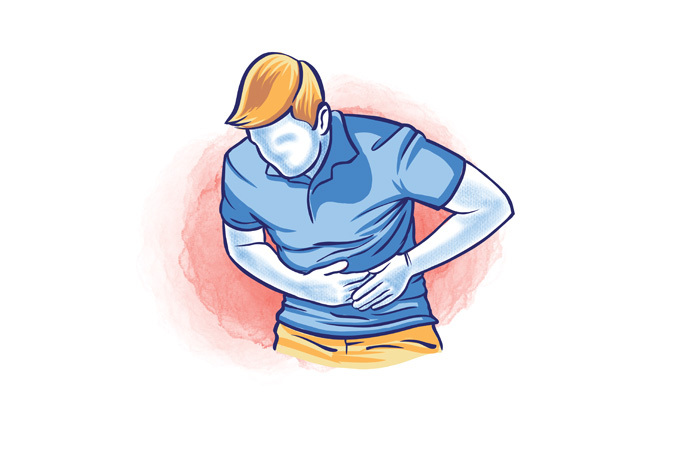 Acute abdominal pain can also be caused by chronic medical conditions, such as pancreatitis; colitis, an inflammation of the large intestine (colon); or diverticulitis, an inflammation of small out-pouchings along the colon wall. For sudden, severe and/or prolonged pain seek emergency medical care or call 9-1-1 to activate EMS.